The 50+ shades of reactions to our blackness. That is the best way to really describe V.A. Tha Gray’s new joint. Despite the fact that he IS an educated emcee, poet and an activist, V.A. Tha Gray has to break it down lyrically, historically, and psychologically (for the unenlightened) on what it means to always be “painted” black on his new track entitled “Black Boy”. “While fans are still enjoying the recent release of V.A. Tha Gray’s latest album, “Blunt Reality”, the Nile Music artist is dropping a new single entitled, “Black Boy” in honor of Black History Month. 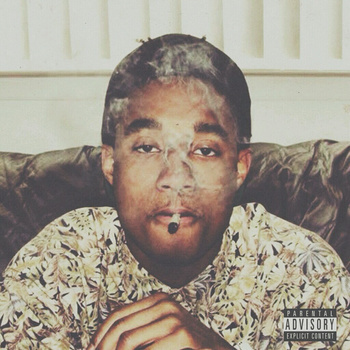 Mike Melinoe will be releasing his next album “Natures of PropeR Element$” on March 17th. However, the Detroit native of Organic Geniuses, recently released a new video for a previously released track that highlights the aggressiveness of his alter ego “Henry Ol’Skool”. Sampling Nas’s classic “One Love”, this video and track is all kinds of ill… It will have you asking yourself “How many bars did this Detroit lyricist just cram down my throat?” Yeah, you’ll be hurtin’ and scramblin’ to figure out what the hell this organic genius just did to you lyrically – he grabbed your attention and kept his foot on your neck. Now enjoy! I”m not going to say this Texas native is back again… Joe just stays grinding and continues to cultivate his skills as a stand out lyricist. Produced by @mandrikemusic “Do It Again” is a track from Joe Sauseda’s upcoming mixtape entitled “While We Wait” which will be released later this year. Enjoy! 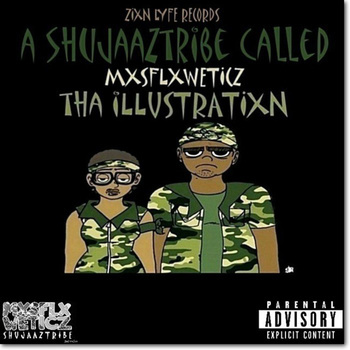 MXSFLXWETICZ released “iLLUSTRATIXN” last month, a single from their EP “THA iLLUSTRATIXN” which actually just dropped today, TODAY! This track kind of reminds me of some throwback Hobo Junction gems (“The Woodworks”, “On Behalf of The Junction” – a serious compliment) with their edgy but melodic rhythms, and a ride or get left hook – “We only vibe with anti-cowards.” So become a fan, become a consumer – listen to “iLLUSTRATIXN” below and then download the entire EP on bandcamp. Enjoy!